What Does an Infection Control Nurse Do? How Do I Become an Infection Control Nurse? Where Do Infection Control Nurses Work? What Is an Infection Control Nurse? As all nurses are trained to prevent the spread of infectious diseases, infection control nurses specifically specialize in preventing the spread of infectious agents such as that of viruses and bacteria. With no two bacteria alike, infection control nurses work diligently to prevent dangerous outbreaks from occurring in a hospital setting. All medical professionals are trained to take standard precautions that include hand hygiene, use of personal protective equipment, and isolation precautions according to the patient being cared for. Even so, such precautions do not completely eliminate the possibility for infectious agents to spread. It is an infection control nurse's job to perform and educate others on how to prevent and contain outbreaks and to prevent further incidents from occurring. 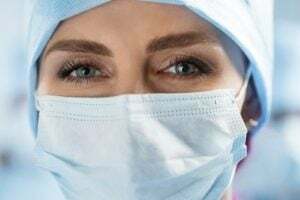 Upon graduating with a bachelor's of nursing degree and passing the National Council Licensure Examination for Registered Nurses (NCLEX-RN), one can secure a position in infection control after obtaining some experience in the nursing field. What Are the Education Requirements for Infection Control Nurses? The education requirement to become an infection control nurse is to earn a Bachelor's of Science in Nursing (BSN) degree. Although a nursing diploma or an Associate's Degree in Nursing has been the minimum requirement, many employers prefer graduate nurses to obtain a bachelor's degree in nursing. A BSN degree typically takes four years to complete in a university or college. With the proper nursing degree and a couple years of experience under one's belt, the nurse will then be eligible to sit for the certification exam with the Association for Professionals in Infection Control and Epidemiology (APIC). The role of an infection control nurse is to determine, prevent, and contain infectious outbreaks in the healthcare setting. Even in a sterile and sanitary environment, an infection can easily spread causing patients to become ill and possibly die. In order to prevent the spread of this infection to a large area, it is the job of an infection control nurse to not only contain these agents within a hospital community but also to prevent such illnesses on a larger scale. What Are the Roles and Duties of an Infection Control Nurse? Gathering and analyzing infection data, facts and trends to other healthcare personnel. Providing training and education to other medical professionals and civilians on prevention techniques. Develop plans to prevent patients from spreading diseases throughout the hospital or other patient care facilities. Often acting as a coordinator or leader of an Infection Prevention and Control (IPC) Program. Reinforcing the implementation of infection control practices as provided in the guidelines of the CDC (Center for Disease Control and Prevention). Bringing rates of infection down within a facility. Determining the origin of a particular pathogen by studying the makeup and composition of it. Working side by side with scientists and doctors to develop treatments for other infectious diseases. Infection control nurses can earn between $77,403 and $92,923 annually. The median salary for an RN in Infection Control is $84,794 per year. As the salary can vary widely depending on many factors, it is important to keep in mind the type of employer, years of experience, and state when comparing salaries. Potential nurses should be experienced in proper chemical disinfection and sterilization practices. As a big part of one's role as an infection control nurse is to instruct and educate patients and hospital staff, one should be comfortable with public speaking and giving direction. As an effective infection control nurse is a big asset to a healthcare facility, these nurses can find employment through hospitals and health care centers.